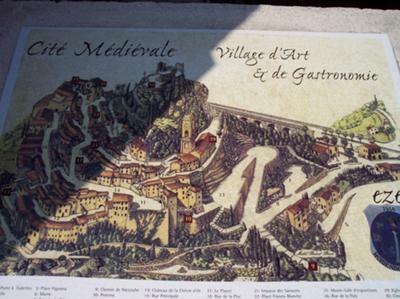 While I was in the south of France, visiting Nice, I went to explore the tiny medieval village of Eze. It sits atop a rocky outcrop, half way between Nice and Monaco. It is a magical spot. The only way into the village and to get around the village, is on foot. It is lovely and quiet because there are only pedestrians. 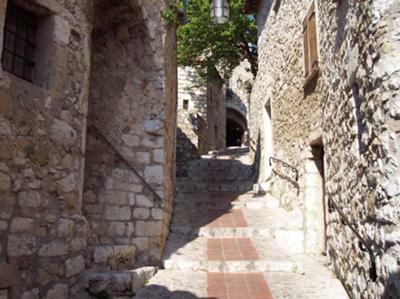 As you walk around the steep pathways, you can feel the history seeping out of every building. It is quite an experience. You get magnificent views of the coastline along the south of France. There have even been scenes of movies shot there. And we agree... We liked Eze too! Thanks for the story Marlene. We liked Eze too. We've found that during the day in the high season, there tend to be lots of pedestrians, but late in the afternoon and evening, you almost feel you have the village to yourself... so staying the night adds to your experience. The hotels IN Eze have a reputation for being high end. Not everyone can afford that even as a splurge. (Especially if you want to travel more and more!) We found a nice moderately priced hotel just outside at the bottom of the village... near the car park. It was an easy walk in and the whole experience was leisurely. 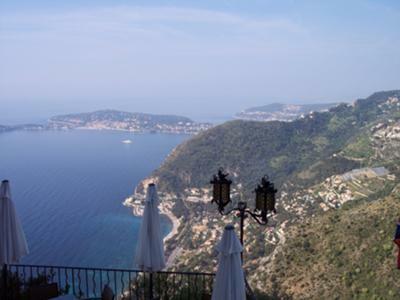 High end restaurants go along with high end hotels, but there are moderately priced places to eat in Eze as well... and those fantastic views? Those are free! 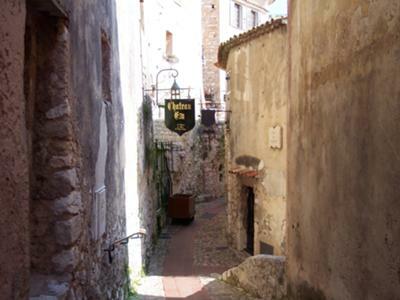 Eze is just one more little town we haven't had time to write about... thanks for sharing your travel tip Marly!